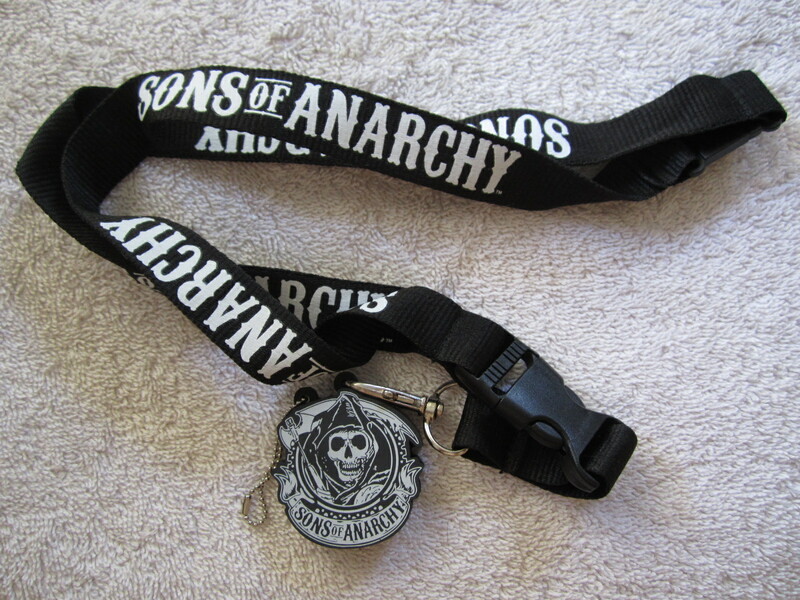 Sons of Anarchy fabric lanyard with thick rubber logo keychain fob or pendant distributed exclusively at 2014 San Diego Comic-Con to promote the hit TV show Sons of Anarchy. The fob or pendant has a handy removable 2 GB USB flash drive with 4 Sons of Anarchy video clips preloaded. MINT. ONLY ONE LEFT.